The award is in memory of Adem Crosby and is jointly supported by Team Adem and the Leukaemia Foundation of Queensland. This award is designed to improve the services and care provided to patients being treated in the Haematology/Oncology setting. It provides an opportunity for a Registered Nurse practising in this field in Queensland, who has a keen interest and passion in the care of their patients, to undertake further approved clinical training or to attend either a national or international conference. 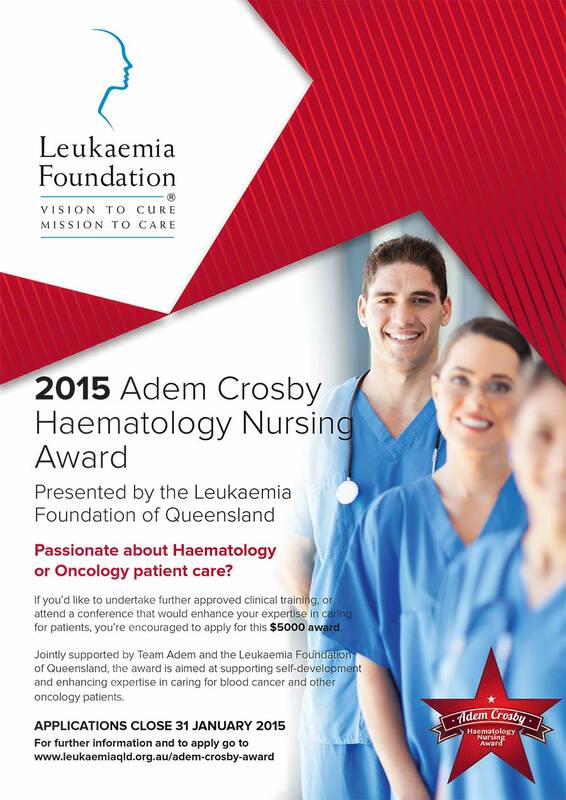 Applications are opening soon for the 2016 Adem Crosby Haematology Nursing Award.